Academy Programs — LIFE Arts Inc. 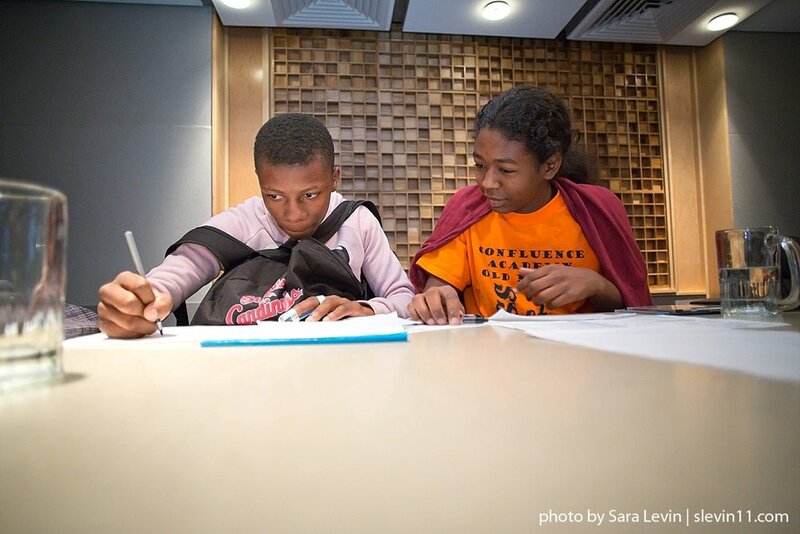 Therapeutic Songwriting is a one-on-one mentoring program for middle and high school students. Students of the his program participate in therapeutic songwriting sessions with student music therapists from Maryville University to compose original songs that focus on the student’s mental and emotional well-being. 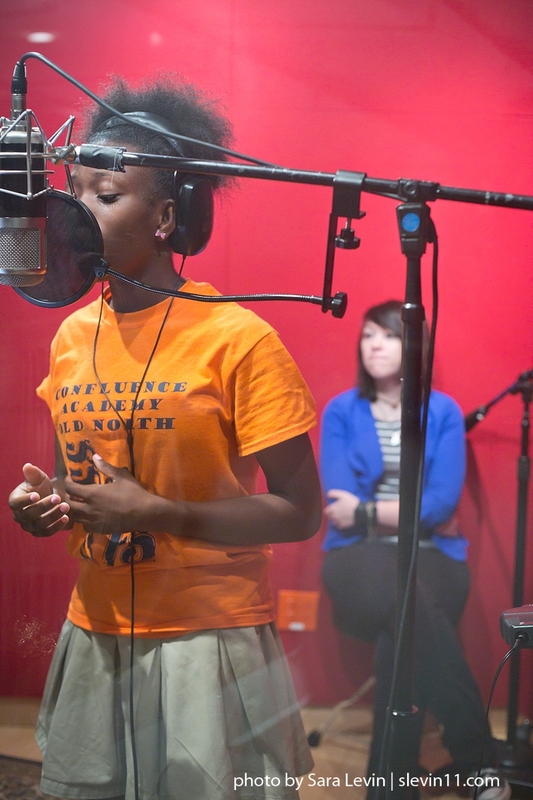 Students are then given the opportunity to write and professionally record their own songs. This approach gives each student the time, attention, resources and encouragement to accomplish the task. 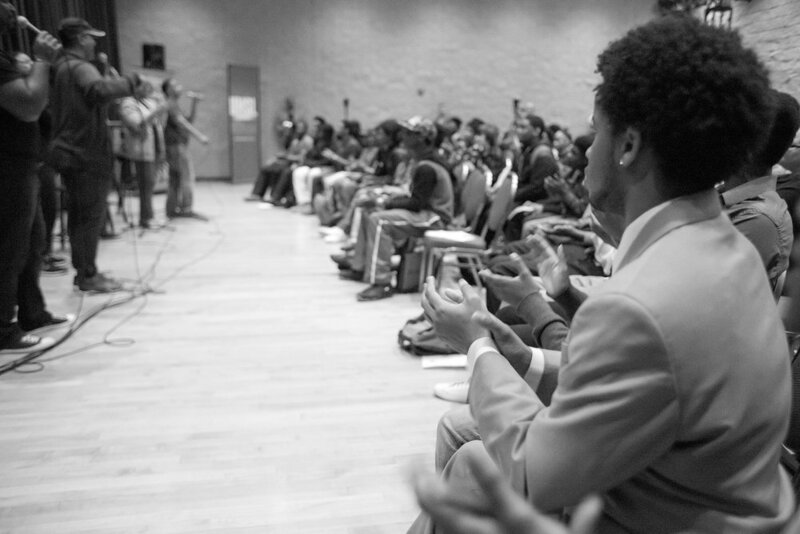 More importantly, it is the overall goal that the students learn more about who they are and become empowered to be leaders in our world today. Designed for high school and college students, this program brings students and prominent musicians together in a casual setting, where students can ask questions and learn directly from artists in the music business. Facilitated by Brian Owens, the format ranges from informal intimate lunches to group Q&A sessions with some of the leading artistic professionals working today. 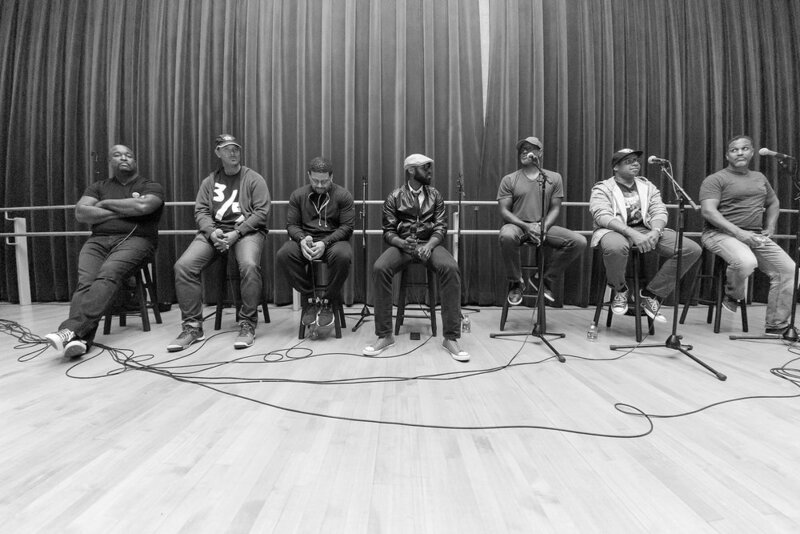 Past lessons for LIFE sessions included Grammy Award winning sextet Take 6, the cast of Broadway’s The Lion King and Hamilton, Leslie Odom’s music director, Michael Mitchell, Stevie Wonder’s saxophonist, Ryan Kilgore and most recently cast members from Broadway's Hamilton touring company. Musicians and music students are invited to perform around the country with international recording artist, Brian Owens. Students of this program learn tour etiquette, tour management, merchandising, and the rigor of being a professional artist. Through our Tour for LIFE program, students have performed in New York City, Houston, Milwaukee, and Nashville. Our students have also performed for NY’s Paste Magazine and Fox News Extra. As we expand this program, students will have the opportunity to provide tour support for other national level artists. Diversifying the classical music community through accessibility and human connection. Through this program, talented young musicians from the St. Louis Youth Symphony Orchestra mentor young musicians from underserved schools in and around St. Louis. Students are given the opportunity to participate in St. Louis Symphony Youth Orchestra rehearsals, receive mentor tutoring, attend St. Louis Symphony Concerts, and perform side by side in select St. Louis Symphony Youth Orchestra Concerts. Through music mentoring, both the mentor and mentee are exposed to new experiences that create a sense of community and develop a culture of mentorship in our next generation of artists and audiences.